The Eastern Cape was well represented at a prestigious celebration in Johannesburg last week where seven small business owners who are creating employment received awards from the SAB Foundation. 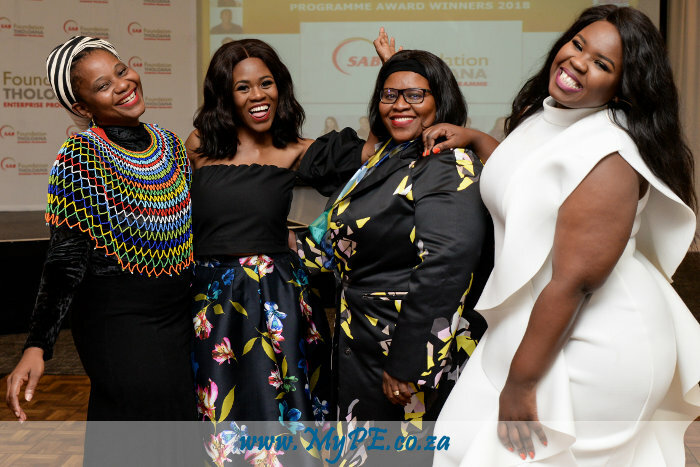 Hair and beauty artist, Afika Mbandazwayo, and Bukelwa Ngoqo, who owns Sunkissed Fashion at the East London airport were recognised for their outstanding participation and entrepreneurial excellence while on the Tholoana Enterprise Programme. The Superstar Award went to Bukelwa Ngoqo of SunKissed Fashion in East London for the way she made optimal use of every element offered by the programme. “The result was that she took her business to the next level, with the bold move of opening her second shop in OR Tambo airport,” said Evans. Next: How to choose the right cause for your donation?